Preheat oven to 400°F. Place wire rack in large shallow baking pan. Place toasted waffles on rack. 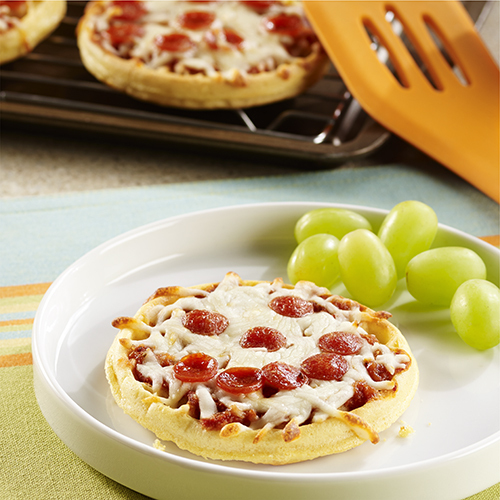 Spread tomato sauce over waffles; sprinkle evenly with cheese and pepperoni. 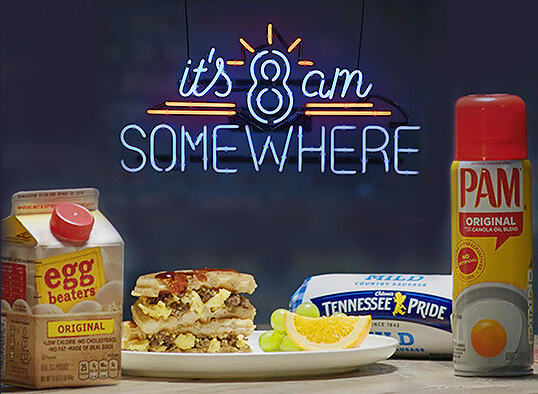 Bake 10 minutes or until waffles are crisp and cheese melts. Instead of sprinkling the mini pepperoni slices on the waffles, have little helpers arrange the slices to make smiley faces.